Big Time Adolescence is the charming debut feature from Jason Orley and starring SNL star Pete Davidson. Davidson is supremely funny in a not-much-of-a-stretch role, and Griffin Gluck’s straight man (more like straight teenager) make an entirely appropriate and inappropriate pair. 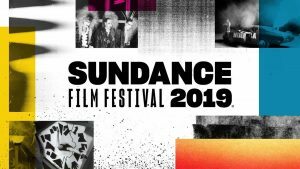 Hammer to Nail had the chance to sit down with director Jason Orley and some of the cast after their Sundance premiere. HtN: First of all, great title. What was the thinking behind the title? Jason Orley: I knew I didn’t want a title that was in the film, or something that was said, or a name. I was trying to tell a story that was larger than that. About a bigger idea. Like Mean Streets. These are titles that I’ve always loved. Thomas Barbusca: It also just rolls off the tongue so nicely. HtN: The title reminded me of Good Time, the Safdie Brothers movie. There are some similarities, such as the older brother manipulating the younger brother who is mentally immature. There’s obviously some real love between these characters but at the same time, Zeke (Pete Davidson) is manipulating Mo (Griffin Gluck). How did you navigate that balance? JO: It definitely gets toxic. ‘Manipulating’ is maybe not the right word. Zeke really loves this kid, and I don’t think his intentions are bad, but he’s just not the right friend for him, in this kid’s journey. That love is pure. The Mo character will always look back on that friendship as something monumental in his life. But it’s just not one of those friendships that last forever. HtN: Did you have a Zeke in your past and how do you feel about him now? TB: I think everyone had a Zeke. Griffin Gluck: And I think most people were a Mo at some point. JO: There was no specific person. But it’s definitely inspired by experiences I had. HtN: Loved the abrupt editing. Can you talk about that? JO: It was a style that I was into. It’s my first film so I’m trying to define my style, and when I was working with my editor Waldemar Centeno, we got into this motif of dirty cutting. Cutting in the middle of someone’s line or cutting really hard on the music. HtN: The female characters were smarter and more mature than the male characters, but they also made mistakes. Can you talk about how it was important for you to make the female characters 3-dimensional in a very masculine movie. Emily Arlook: I think it was really important for these women to be 3-dimensional, even moreso in a male-heavy film. Kate, for example, appears to have her life together—she’s studying for the LSATs, she moved in with the supposed right guy. But what we see as the audience is her struggling, her in conflict. As women we sometimes don’t get to see that, that turmoil in her private life and the struggle of those decisions. And the ability to showcase that as a woman was a gift. HtN: What do your parents think of the film? GG: I don’t see my dad cry often. He’s a private dude. But you (turning to Jason) broke my whole family. The very first shot my sister turned to me and *wipes tears*. JO: I’ve been talking about this story with them for so long, so for them to actually see it finished was emotional and exciting. HtN: What do you hope audiences take away from the film? JO: I hope they laugh. I hope they have fun. My #1 job is to entertain. As much as I want to say this is an ‘important’ film, it’s a comedy first and foremost. If someone in the audience feels nostalgic for high school, or remembers the person in their life who was their Zeke, that’s even better. HtN: I love the Mo Bamba song. JO: Pete was playing it on set, and he was like, ‘Jason, we gotta put this in the movie,’ and I was like, ‘Yeah,’ and then 3 months later it was the biggest song in the world and I was like, ‘this is going to be difficult.’ But we got it. HtN: Did you consider putting an MGK song (aka Colson Baker, who also acts in the film) in there? HtN: …I didn’t notice it. It’s a nice Easter egg.